Poetry Chaikhana Blog » Emily Dickinson – Always Mine! Emily Dickinson – Always Mine! When I was first introduced to Emily Dickinson’s poetry as a teenager, I immediately responded to the power of her writing. Her short, staccato lines, words and phrases connected by dashes and strange punctuation. Statements filled with intensity, as if she can barely get the words out. But it wasn’t always clear to me what she was really saying. It wasn’t until much later, re-reading her writing as an adult, that a light went off in my mind, and I realized that much of the commentary I had read of her poetry had missed the essential element of her poetry — that Emily Dickinson was, in fact, a mystic describing ecstatic states of awareness. Don’t take my word for it, just consider the possibility. And then reread her poetry with that idea in mind. This poem, for example. Why does she rapturously proclaim, “Always Mine!” Something or someone she had been passionately seeking is discovered to already belong to her, to have always been hers. There is “no more vacation,” no longer a sense of separation or distance. For her, it is as if a new day has begun, filled with light, as dependable as the seasons. The sense of grace that fills her is “old,” ancient, familiar, as if it has always been there, yet she notices for the first time how it shines anew on everything. Everything is new when seen in this new light. The East, the direction of the sunrise, the direction of enlightenment, has always been there, yet amidst its royal purple majesty, every dawn is new and wondrous. Re-reading this poem, does it seem like a lonely recluse’s breathless praise of the morning or perhaps a secret love, or is it genuinely ecstatic, describing an awareness that is profound and alive? 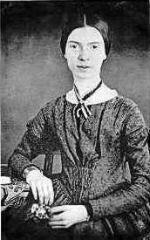 Emily Dickinson was born in 1830 to a prominent family in Amherst, Massachusetts. Few of her poems were published during her lifetime, the bulk of her poetry having been discovered after her death in the 1880s. Despite this anonymity during her lifetime, Dickinson has come to be regarded as one of the greatest of American poets. Her unusual use of rhyme, meter, and grammar anticipates modernist trends in 20th century poetry. She attended Amherst Academy and a year at Mount Holyoke Female Seminary. While at the seminary, Dickinson famously refused to participate in the show of evangelical conversion sweeping through her community at the time. Much of her poetry, however, meditates on heaven and the inner life, often contrasting the private moment against public religious convention. She was clearly a critic of the common practice of religion, leading many to casually label her as an atheist, yet there is no denying that she experienced a rich inner life that she understood in religious terms. While unconventional by the religious standards of her day, the argument can be made that she was a deep mystic. If one reads her poetry side-by-side with the poet-saints of India, for example, the parallels in metaphoric language and insight become obvious. Following her return from Mount Holyoke, Emily Dickinson almost never left Amherst again, rarely even leaving the grounds of her family home. Later in life she took to dressing entirely in white. Much is made of Dickinson’s reclusive life, the fact that she never married, and the focus on death in much of her poetry, leading to descriptions of her as a morbid, sexually repressed recluse. One can see her in this way; or, recognizing the depth of her mysticism, we can suggest that she cultivated a self-defined monastic life of contemplation and poetry. Yes, I agree with your insight about her mysticism, Ivan. Brilliant poem and commentary. Thank you so much. I always felt so bad for her, she seemed to have been a very lonely person. But maybe she knew something I don’t. Emily has always be a favorite of mine, from college days to now in my 81st year living on this beautiful radiant green earth we call Mother. I just returned from The Botanica in Wichita, Ks., where the speaker spoke of the healing aspect of Nature and our need to return to the many gifts Mother Earth has to offer. She is alive and pulsing with life as we are. Emily speaks to this in her ALWAYS MINE title. Each cyclical day and season is a vacation wherever we are, always old and always new and changing. Purple speaks of the royalty of the creative kingdom, our home with each day offering a new beginning. 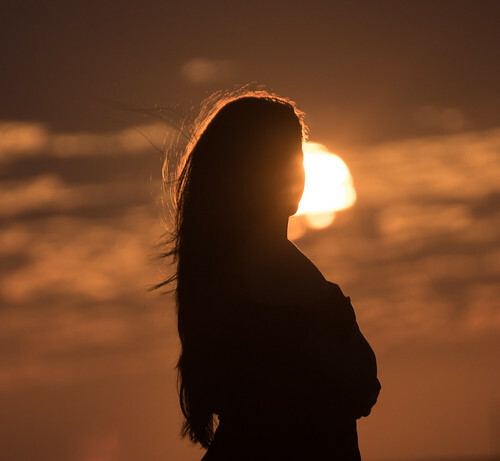 As a mystic writer, she emanates her love of solitude and the creative gifts she shares behind the scene, so to speak, until her death when all is published, a gift to all poets and writers. YEA! Wonderful thought for the day. I need to slow down, to notice, to be aware, to turn around and go back, if necessary, or not. I may not get that chance again.